Two video tutorials today! These video tutorials are going to show you a little bit about how to edit a 24x12 finished page and template. Without further ado here is the 1st video. It will show you how to take a finished 24x12 jpg image and crop it into 2-12x12 pages so that you can send them off to your favorite print shop and print them. The beautiful kit I used for my page is from Tracie Stroud and Jennifer Barrette called Walking on Sunshine. This second one shows you how to take the 24x12 layered psd template and crop it into 2-12x12 layered psd templates. That way you can use each side of the page individually if you want to. I just love 2 pagers, great for lots of photos and recap pages. Okay, now for the giveaway. Just tell me if you like to do double page spreads or if you think you would be more likely to use 24x12 templates individually. I'll announce the winner on Thursday's blog post. 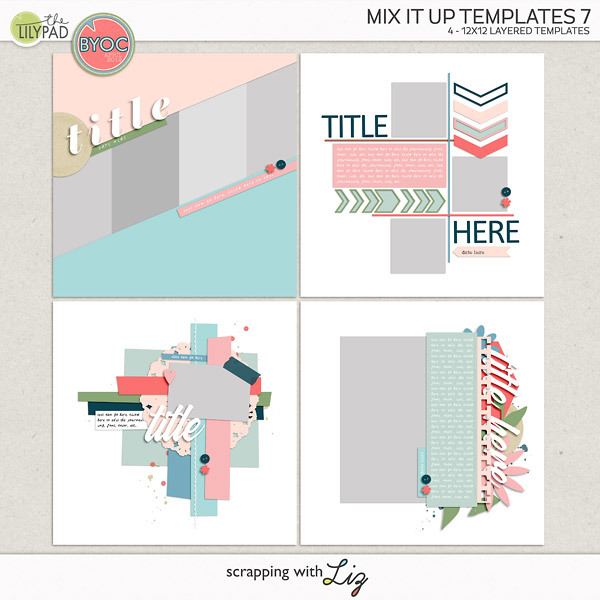 They'll win my 2 new template sets that will be coming out this week! You won't wanna miss them. I haven't used an double page spread templates yet. BUT I have been thinking about creating photobooks rather than having each layout printed and when I do that I think I will use 2 page spreads much more. I love double pagers. I'm often doing vacation books so double pagers with lots of photos are something I do a lot. Love double pages! One for a real LO and the other for lots of pictures! I LOVE double pagers! I almost always use multiple photos in my layouts and need both pages to fit them all. Plus, 2-pg spreads make putting an album together much easier since I don't have to worry about whether or not a page will look good next to another page. Can't wait to see the new templates! I like both! Double page spreads are great for scrapping a large event. And, easy to change to use only one side, if needed. I haven't done either but I'd sure like to start. thanks for this chance. Thanks for the tutorial! It looks very handy. I've never done a double layout digitally, but I have done lots of them on paper and enjoy them a lot. I love 2 pagers cause I only print books and make my pages match, but I rarely use them full size cause my PC gets incredibly slow when I use 24x12 templates. That´s why I love when 2 pagers come each side individually! Actually my old PC allows me to work on 2 pages at the same time but not on a full size 2 pager LOL! I just tried a 2 page layout and I love it. Thanks for the tutorial on how to separate the page. That was way easier then what I was trying to do. Thanks for the chance to win. I only do single 12x12 pages. I print and put them in 3 ring albums. This way if I ever want to add some pocket pages with mementos or want to add to an existing album (like our family pet one) I won't interrupt the flow of a 2 page spread. Double pages are great. 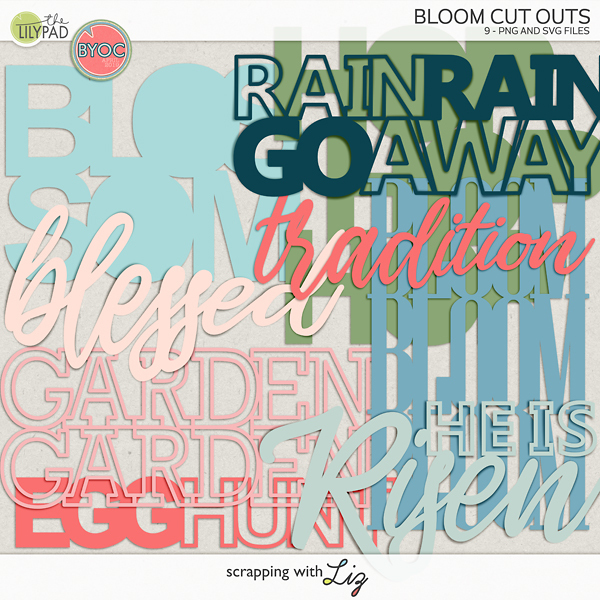 I can combine two styles or more of digiscrap and put lot of photos. I've done a few double page spreads, but prefer single pages for some reason. But after reading everyone else's comments, I think maybe I should be doing more double pagers. I'd love to win the templates to help me start doubles. I've never tried a double page. But now I think I'll give it a try. I love double pages. I always have so many photos of an event! I love double pages for events like birthdays and christmas! thanks for the chance to win! I am no pro at this, a newbie but i think 2 pagers would be great because i would love using lots of photos on some events. The tutorials are SOOOOO helpful for me being a visual learner. Thanks so much. i take "too many" pics (according to my husband), so i love double-page templates for helping me cram in all those pics! :) thanks for the chance! So I just used random.org to choose a winner for me and it's post #5! Which is Denise. Congrats Denise. I'll be e-mailing you soon. Thanks everyone for playing along. There will be another chance next week to win!